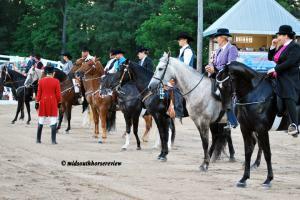 A variety of Tennessee Walking Horse classes are a tradition at the Germantown Charity Horse Show. In the Trail Pleasure Junior 5& Under (horse) class, Brandon Urad was the winner on Disaronno. 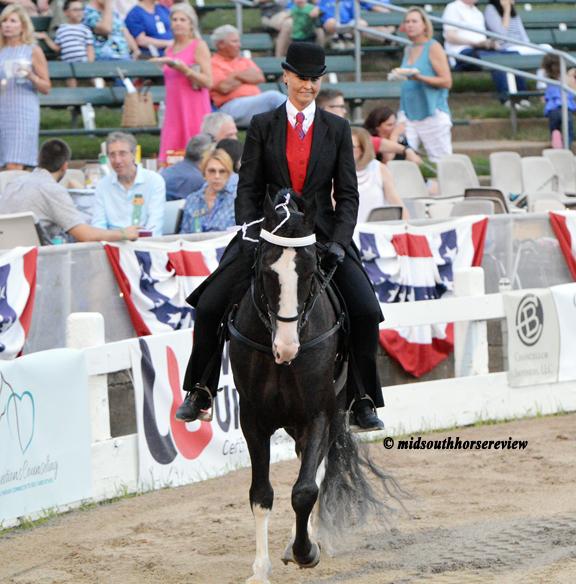 In the Lite Shod Junior 5 & Under class, Laurie Toone and Carolina Chrome were the winners. 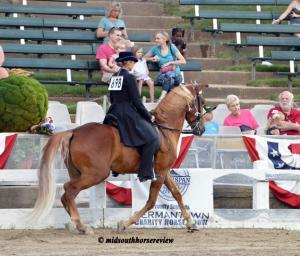 The pair also won the TWH Model class. Toone won the Trail Pleasure Open on Dark Picture Show. 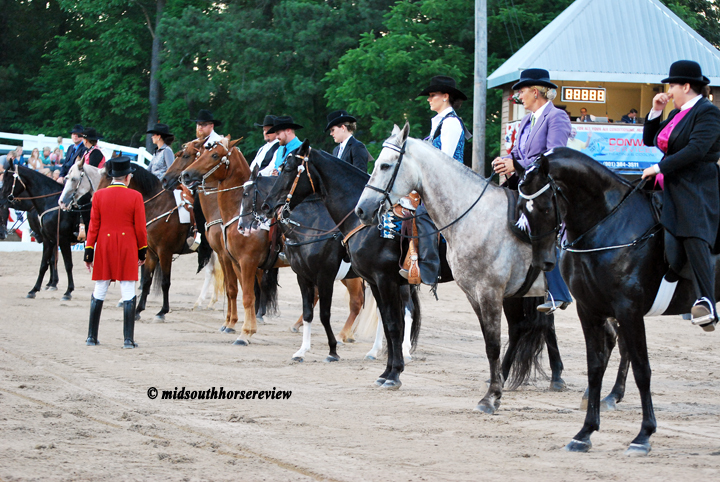 In Lite Shod English, Bobby Richards and Dangerous Willy were the winners. 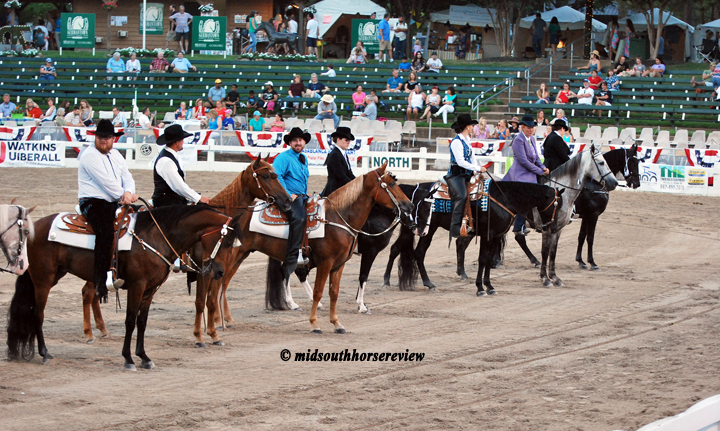 In Lite Shod Western, A Major Jose and Bailey Momb were the winners. 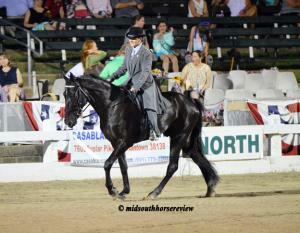 In Trail Pleasure 2&3 Yr. Old, Mikal Spooner and Autumn Cash were the winners. 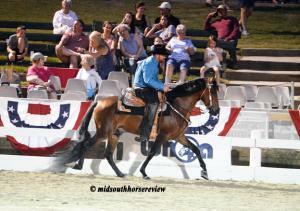 The pair also took the blue in Trail Pleasure Open, Canter. Autumn Cash was again in the winner’s circle in the Trail Pleasure 2&3 Yr. Old Amateur class with Jean-Marie Degville. In Trail Pleasure Amateur Riders, English, Patti Pollack won the class on A Guilty Pleasure. Pollack was back in the winner’s circle with Liberty and Lead in the All Day Pleasure Western class. 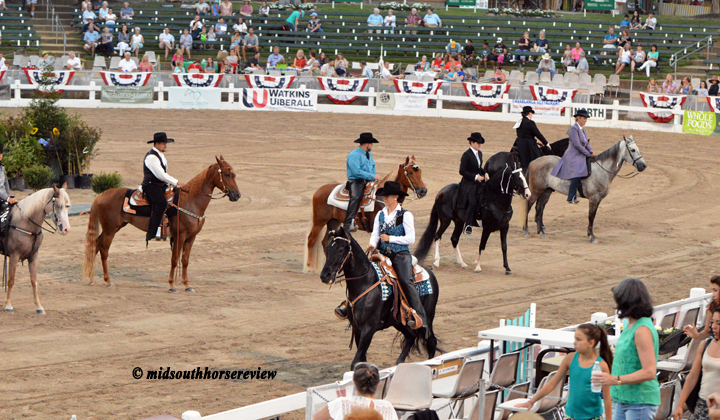 In Trail Pleasure Amateur Riders, Canter, Maggie Moore took the win on Ferdinand. She was back in the winner’s circle again in Country Pleasure Amateur Owned & Trained with Roan Ranger, as well as winner of the Trail Pleasure Amateur Western with Ferdinand. 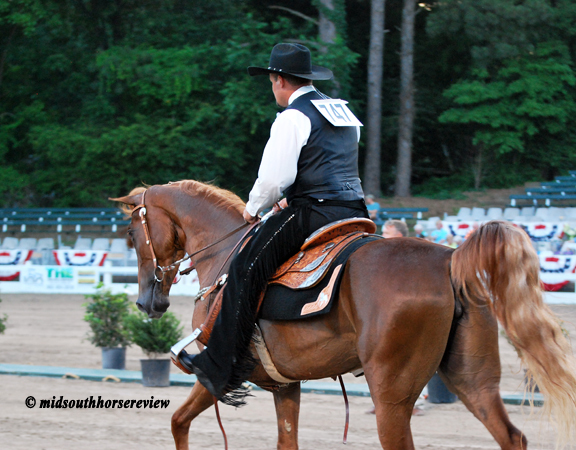 In the Country Pleasure Open class, Joe Lester placed first on Side Lined. 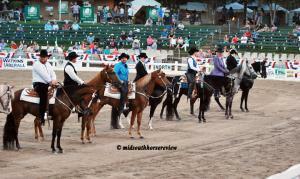 Side Lined also won the Country Pleasure Amateur Riders, Western with Kendra Myers. 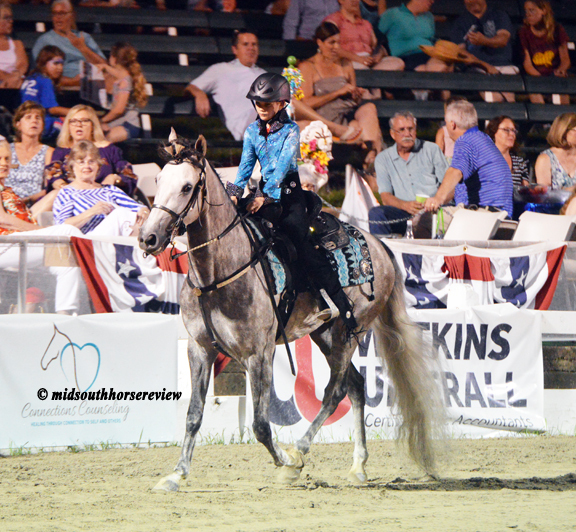 In Country Pleasure Junior 5 & Under, Bobby Richards took home the blue ribbon on Hey Charlene. In Classic Park Pleasure English, Zach Parson was the winner on Bella’ Ve. In All Day Pleasure, English, Terry Hughes won the trophy with Score Diamond In The Ruff. 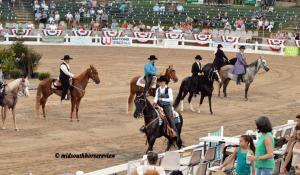 In All Day Pleasure Junior 5& Under, Andy Stooksberry was the winner on The Vaquero. Stooksberry also won the Trail Pleasure Junior 5 & Under Amateur class with Luciano. Brandon Urad and Disaronno were reserve. In Classic Park Pleasure, English Amateur, Kevin Marker won the blue with Dangerous Willy. Bella’ Ve was second. 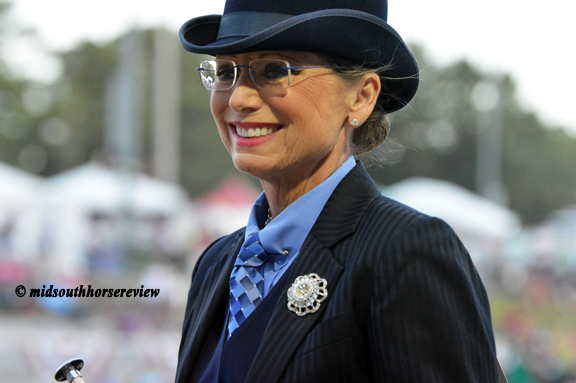 In Trail Pleasure Amateur Owned & Trained, Maggie Moore was once again in the winner’s circle with Ferdinand. Zach Parsons won the Pleasure Driving class with Caterpillar. 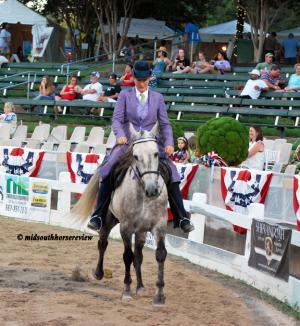 Caterpillar also won the Lite Shod Amateur Riders, English class with owner Rhonda Stone. 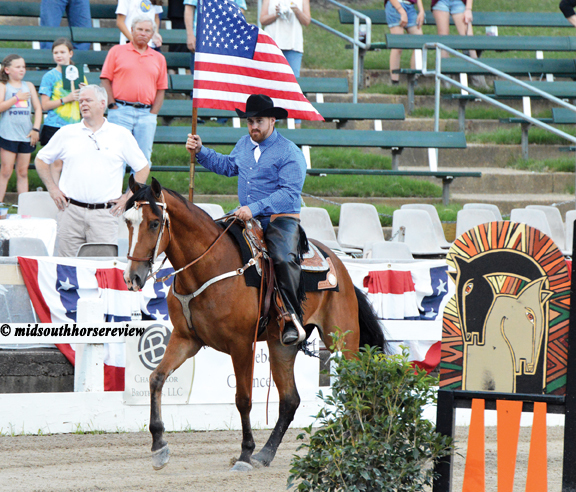 Dr. John Gladney won the Country Pleasure Amateur Riders, English class and the Country Pleasure Amateur, Junior 5 & Under class with Big Time Charley. Leigh Gregory won the All Day Pleasure Amateur Owned & Trained class on Red Astaire. In Country Pleasure Youth Riders 17 & Under, it was Rylie Gaugh and Allen’s Bossy Lady in the winner’s circle. 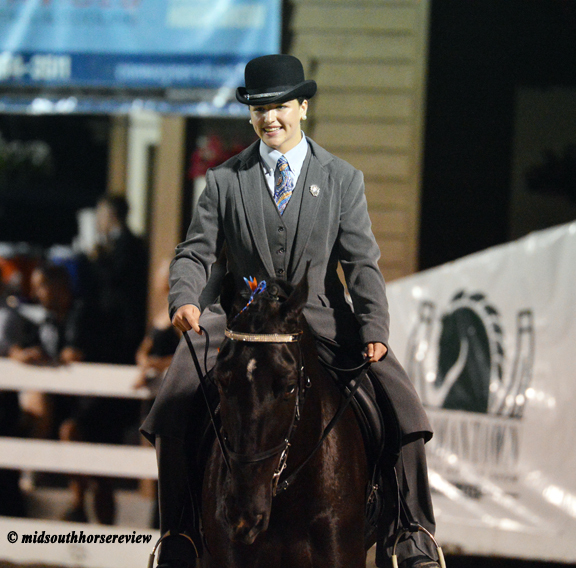 In All Day Pleasure Youth Riders 17 & Under, Rylie Gaugh won on Zack’s Pride of Allen. 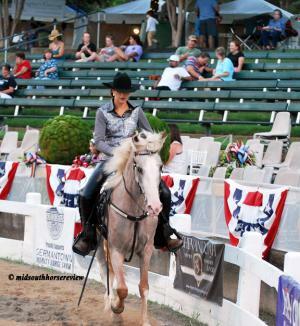 In Trail Pleasure Youth Riders 17 & Under, Cheyanne Gardner took the win with Jose’s Line Dancer. Gardner was reserve in All Day Pleasure Youth Riders 17 & Under with Jose’s Leave A Mark. In the Trail Obstacle course, Nicholas Ellis and Keep In Mind were the winners. 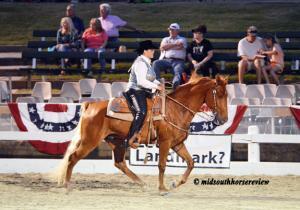 The Trail Pleasure Western Champion Am/Youth was Luciano, ridden by Andy Stooksberry. The Lite Shod Championship, Eng went to A Major Jose, Bailey Momb riding. The Trail Pleasure English Championship Am/Youth went to Darden Gladney riding Light Em’ Up. 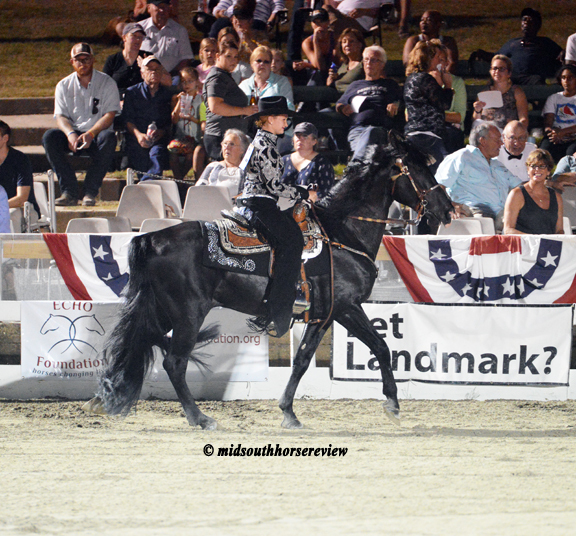 Laurie Toone took the Open Trail Pleasure Championship on Dark Picture Show. Mikal Spooner and Autumn Cash were Reserve, with Brandon Urad and Disaronno in third. 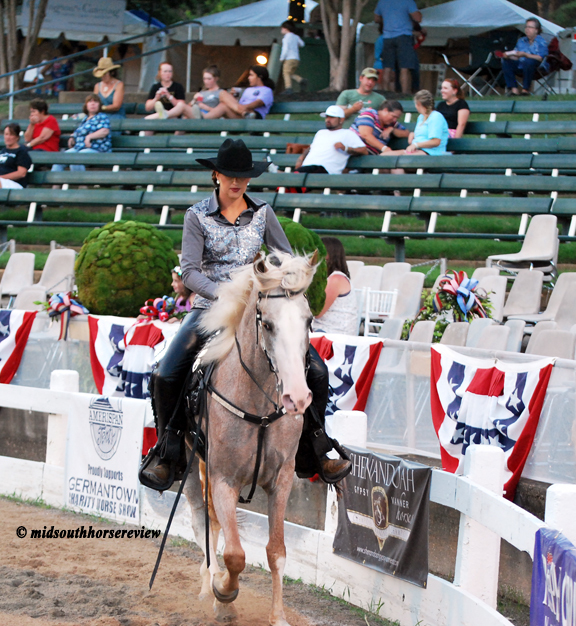 The Country Pleasure Championship Am/Youth went to Kendra Myers and Side Lined. Dr. John Gladney and Big Time Charley were reserve. The Youth Flat Shod Championship went to Rylie Gaugh and Allen’s Bossy Lasy. Cheyanne Gardner and Joes’s Leave A Mark were reserve. The Vaquero, ridden by Andy Stooksberry, was the All Day Pleasure Champion. 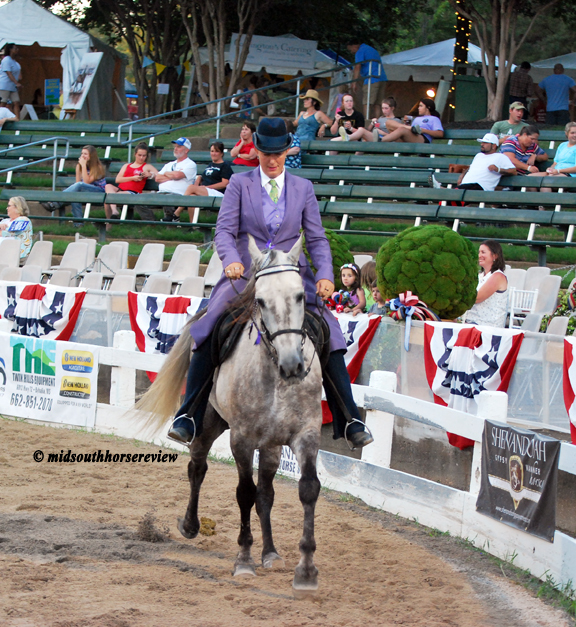 Bobby Richards and Hey Charlene won the Open Country Pleasure Championship. Dr. Gladney and Big Time Charley were reserve.